Looking for a great new look this season? 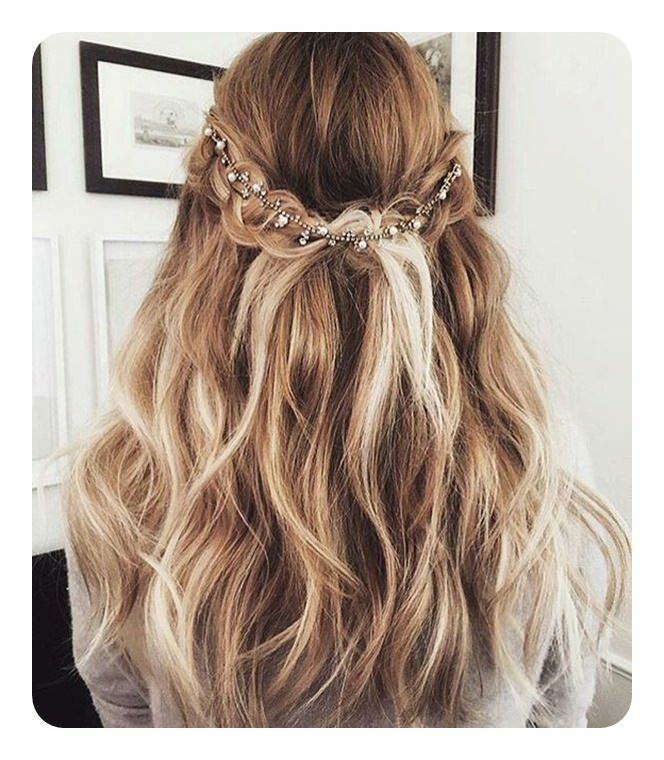 Then why not try out a Boho hairstyle? These days, a natural and healthy lifestyle is becoming more and more popular. 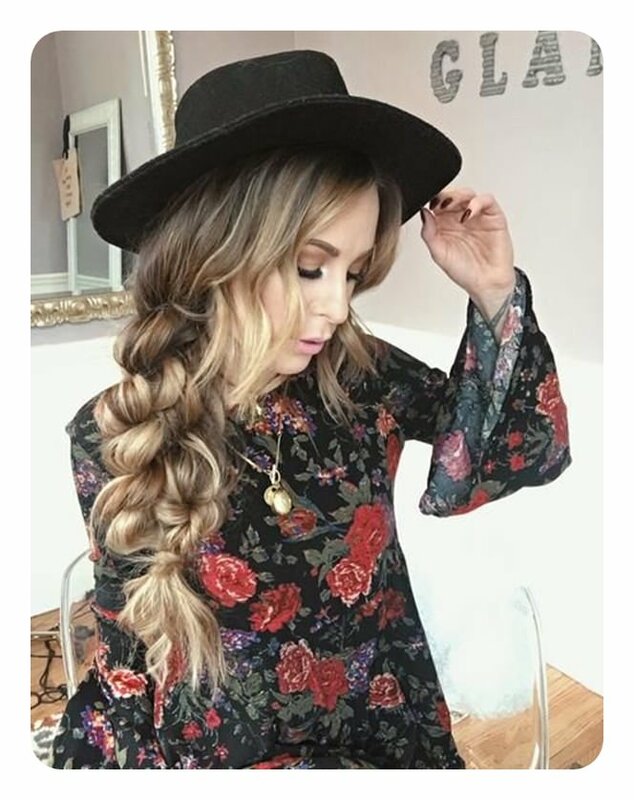 People are bringing back 70’s fashion trends and bohemian hairstyles. The hairstyles especially are very popular right now. It’s not your mother’s Bohemian style either, these looks have evolved into styles that are not only creative but gorgeous as well. Bring a freshness to your style this season with these looks. The sky is the limit for the kind of style you can have. There are twists and stunning partial updos as well as buns and even a messy braid. Be creative with your style this season and get yourself what you want. There are so many ways you can rock these styles as well. You can add some color or even accessories to make the look your own. If you are into natural living, there are many accessories that are made by parts of plants. 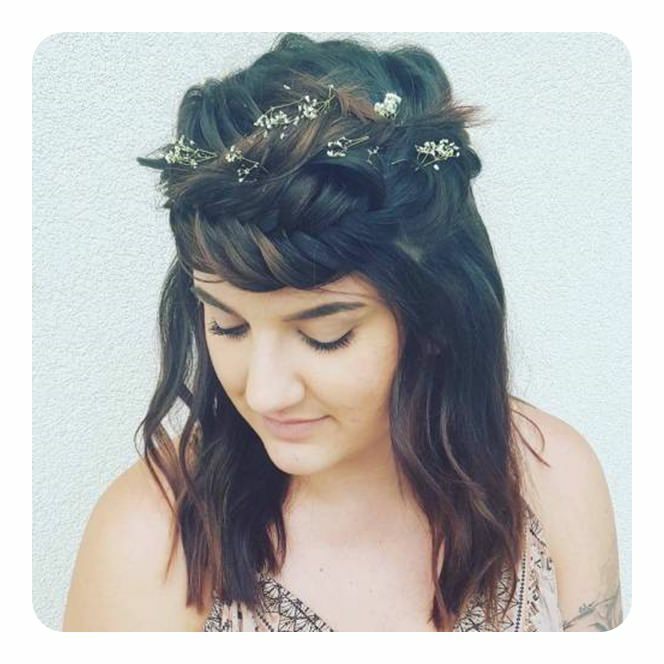 Nature can be your inspiration for these amazing styles. Experiment and create your own styles. 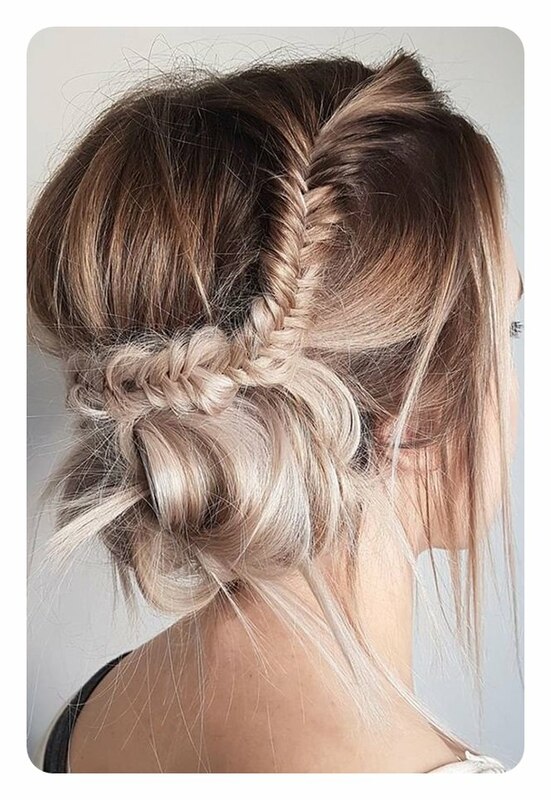 You are sure to be the talk of the party with this stunning fishtail braid. We love the side style as it turns into a ponytail that is full of volume. 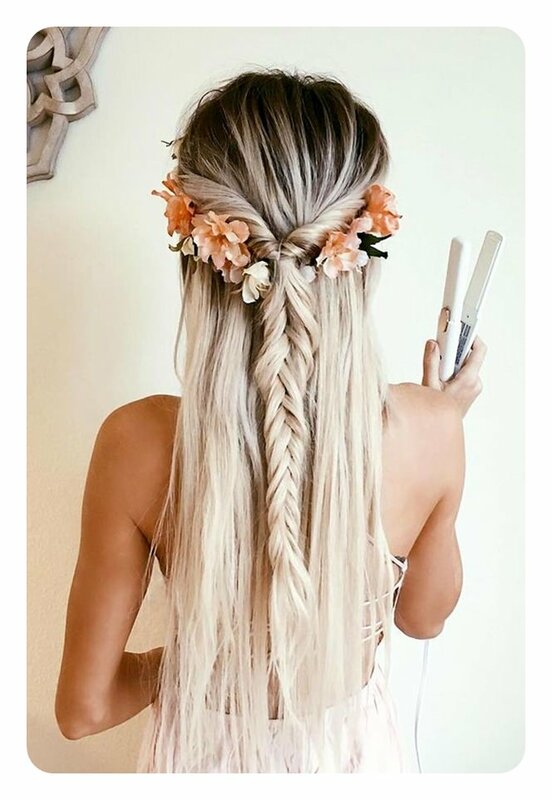 This is one of the most beautiful looks on this list; it’s definitely a must to try out this summer. 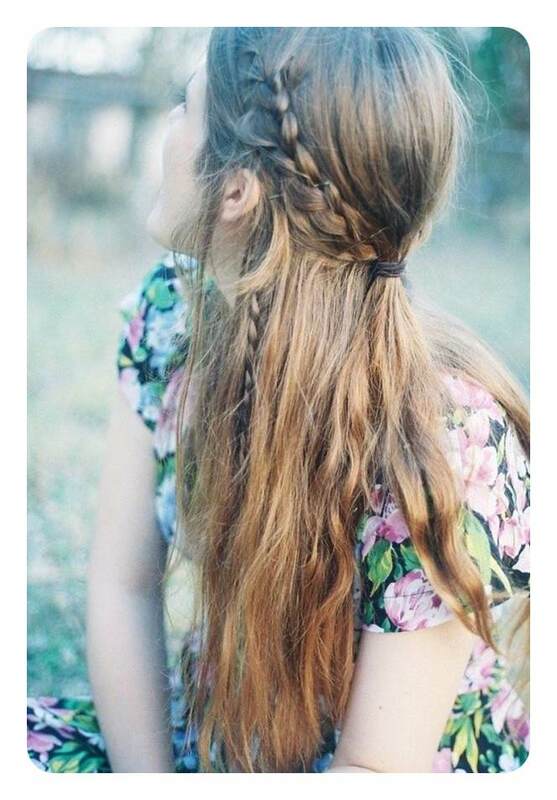 If you are looking for a fresh and natural style, then you can’t go wrong with this loose braid. 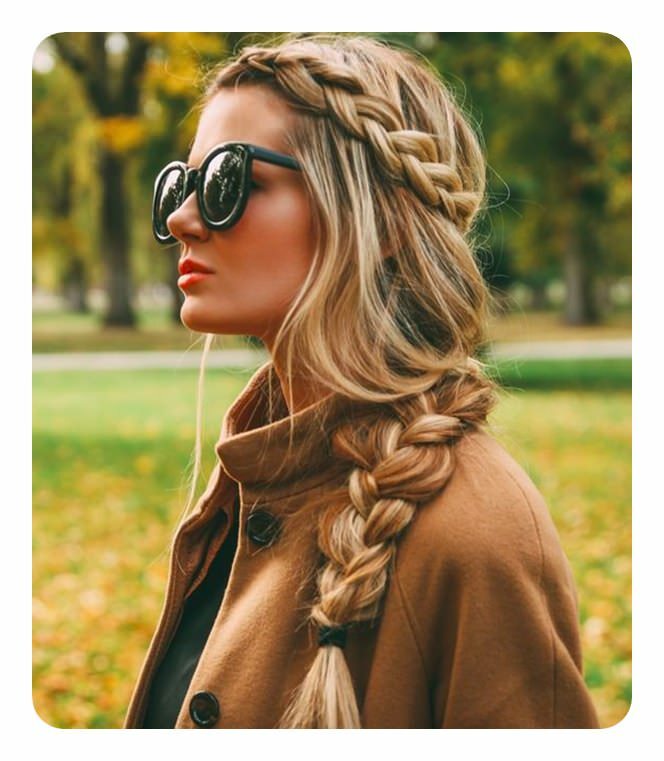 Braids are great for events because they always keep your look together. 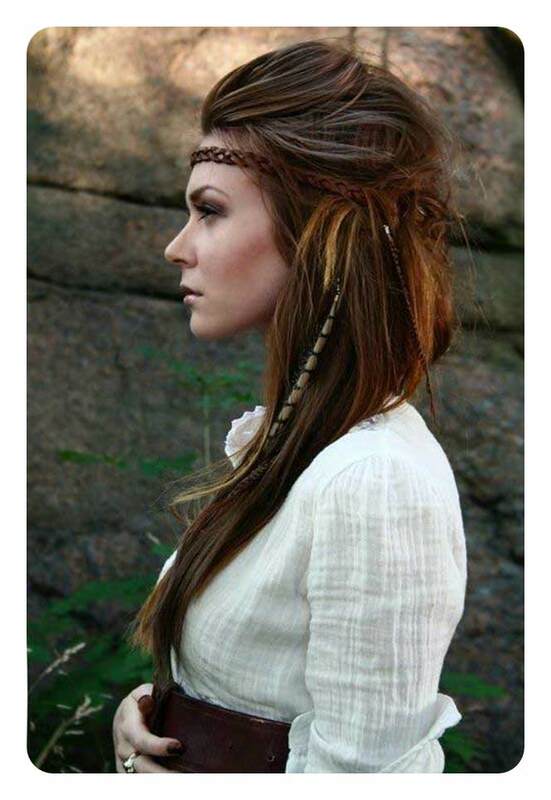 Another great Bohemian style that has a loose fishtail going down the back. These simple looks aren’t complicated and yet they present you with a look that is incredible. 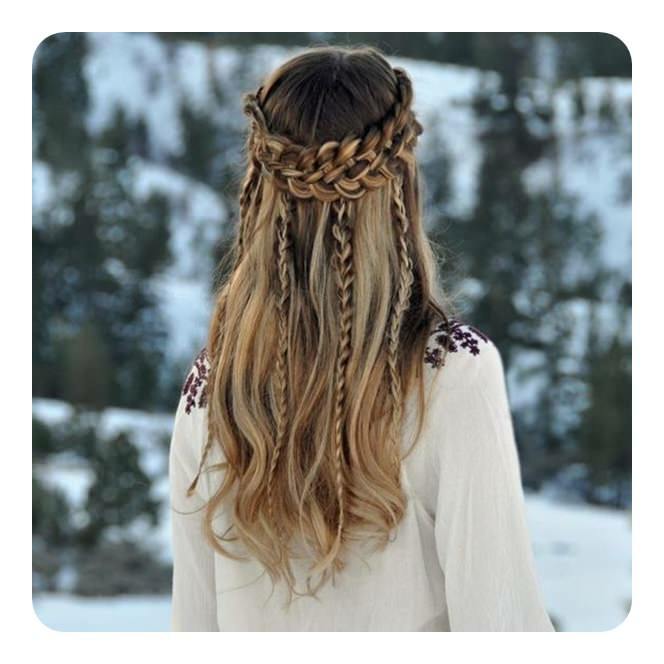 The braid that crowns the head is one of the most popular Bohemian styles. We love that there is also a rather large one at the end. A great style that is both messy and has that romantic vibe to it. It can be a casual look or a formal one; it’s very versatile. 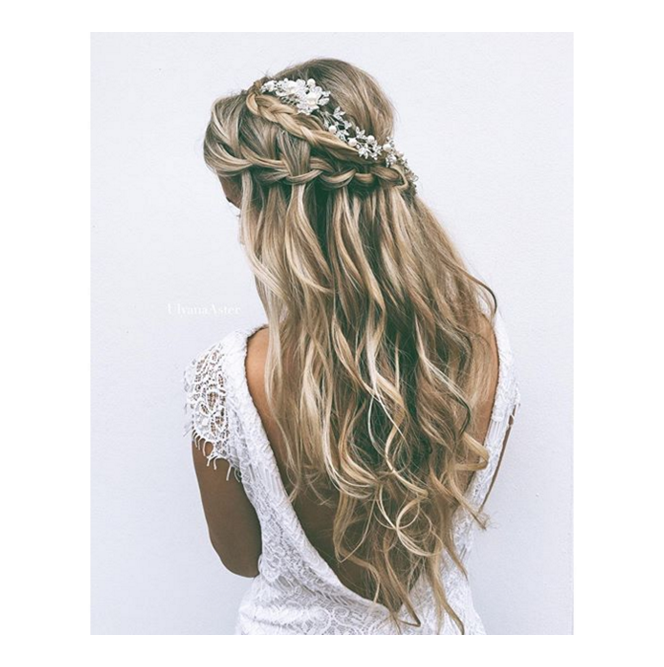 There are some elements that you are always sure to find in Bohemian styles and that’s loose waves and braids. 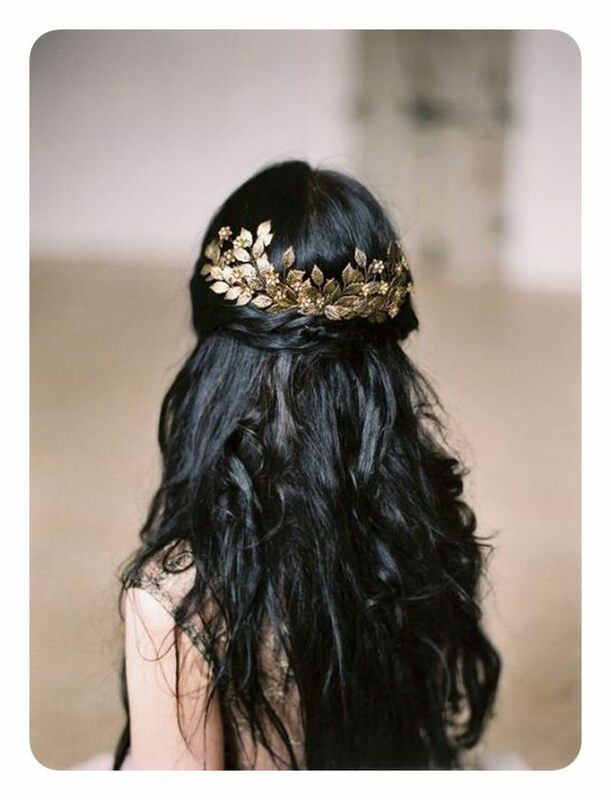 Who needs accessories when you can use your hair to make a crown. This is a very unusual style, but if you are looking for originality, then it’s the perfect style. Even Bohemian styles can be used for formal events. This is a striking style that will make you feel amazing all night long. Grab yourself some great accessories to complete the look. 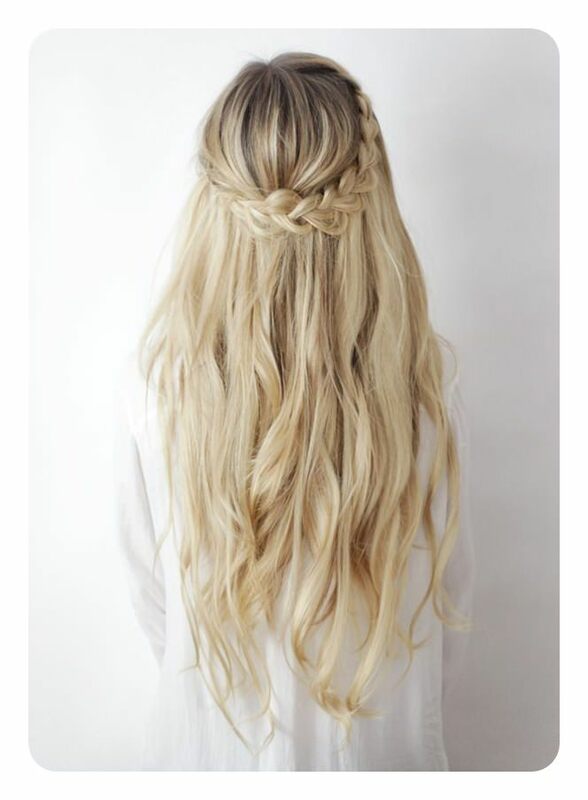 This style is left loose aside from a few braids. If casual is what you are seeking, then this might just be the style that you are looking for. This is an unusually shaped braid, but it’s one that is very cool. We love that there’s a ponytail style involved as well. You will feel like you are high fashion wearing this boho look. 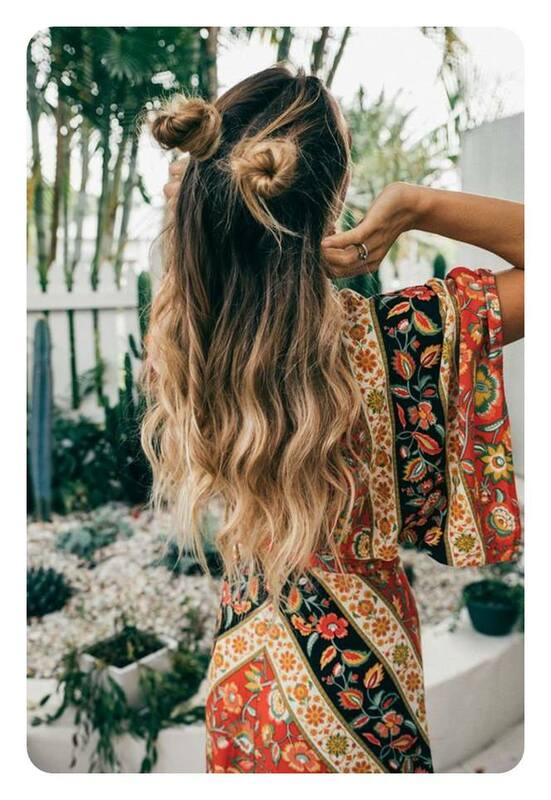 This loose style has two buns on top to create a fresh new look. This style is versatile so you can wear it casually or to your next event. 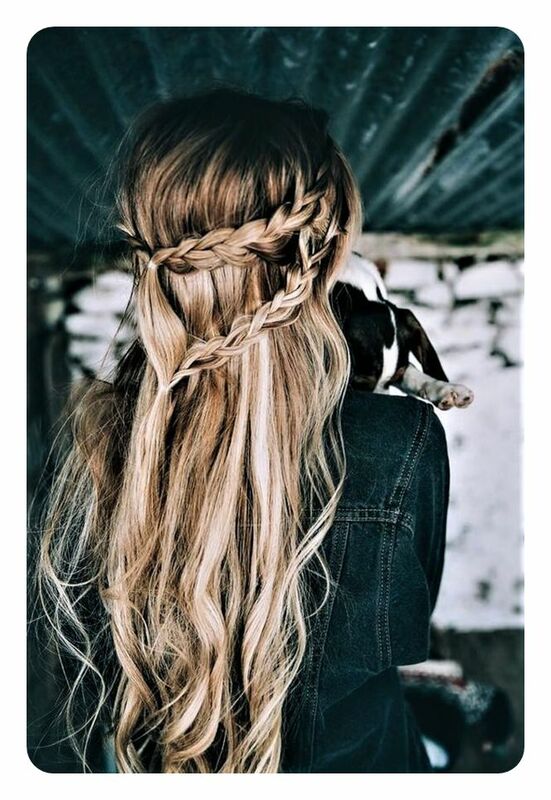 A great braided style that you are sure to love all spring long. Try out a few of these styles to see what suits your personality the best. You could spend all summer long trying out various styles that will show off your new look. A bold choice for anyone looking for a boho style. 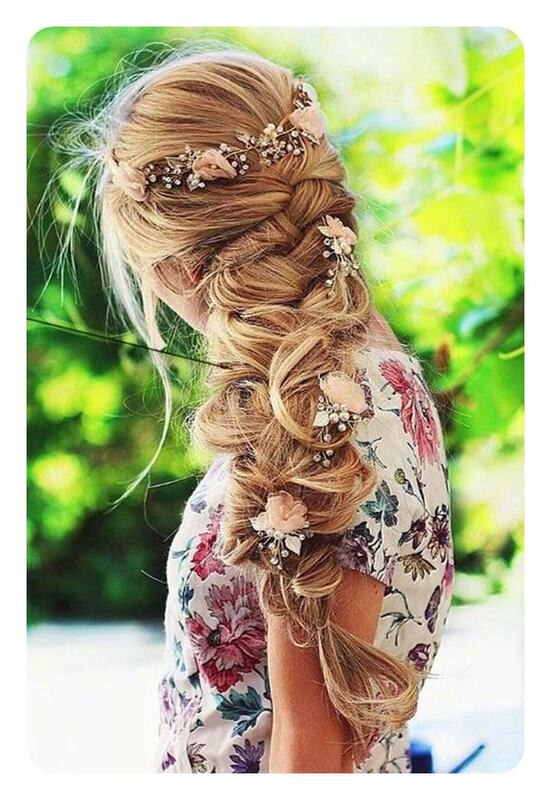 We love the fishtail braid as well as all the floral accessories. 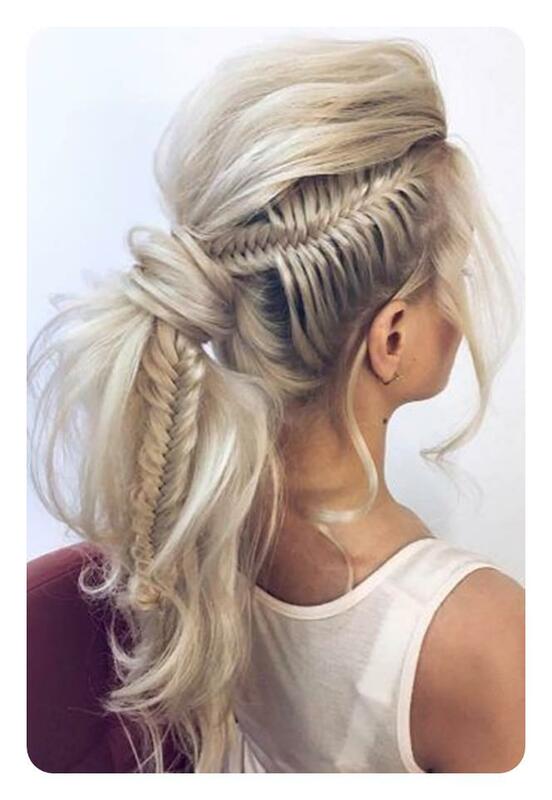 Fishtails always created beautiful looks that are sure to catch the eye. 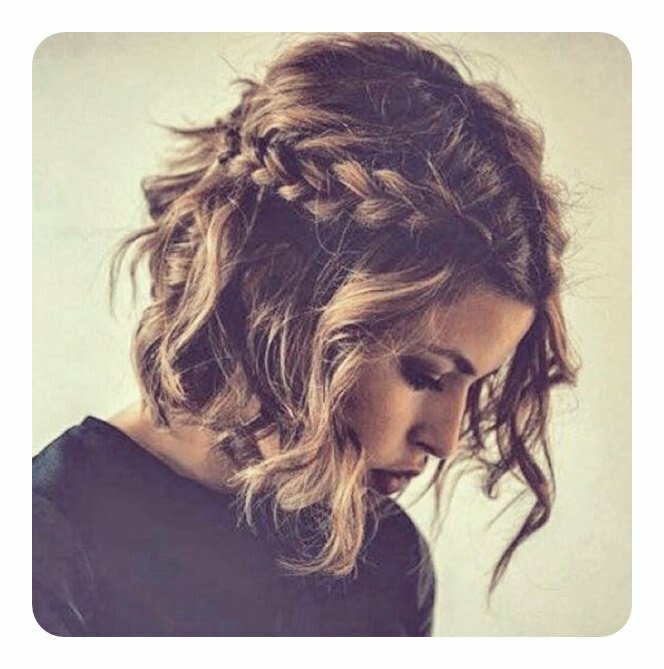 Just because you have short hair doesn’t mean that you can’t have an amazing style with that boho vibe. 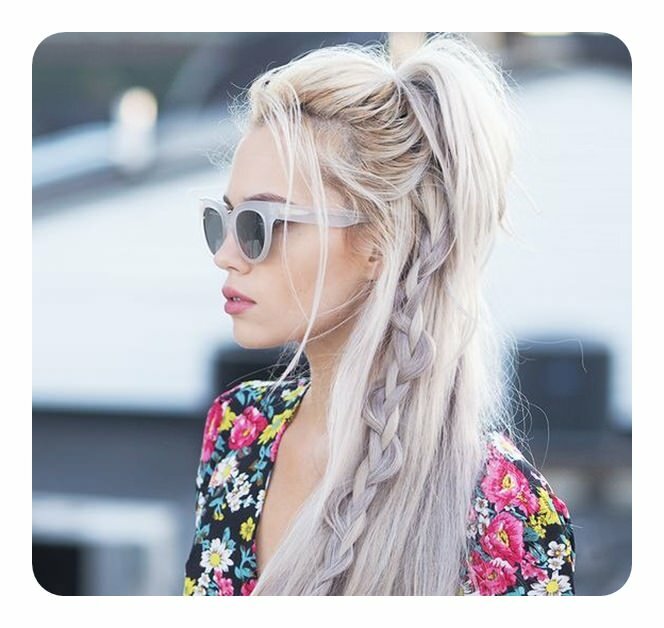 We love the messy look here with the braid incorporated into the style. 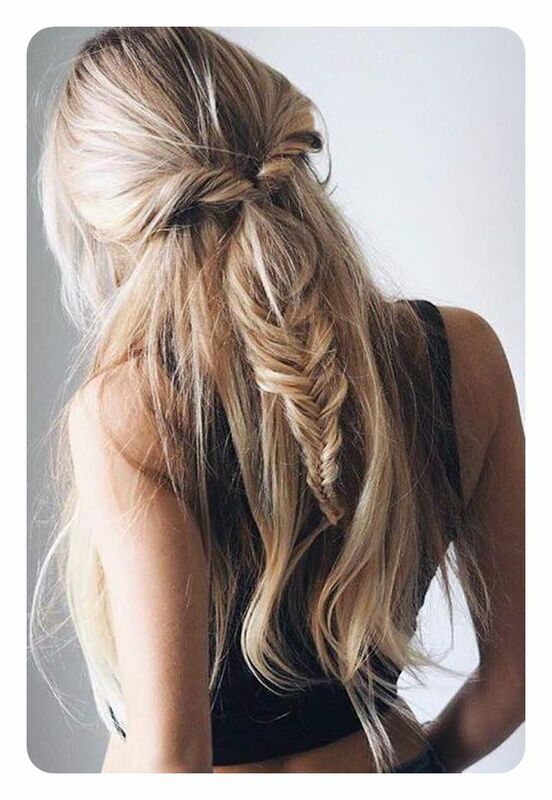 Another great example of a messy bun with a braid. These boho styles are often romantic and messy because that’s the relaxed feeling of this particular style. 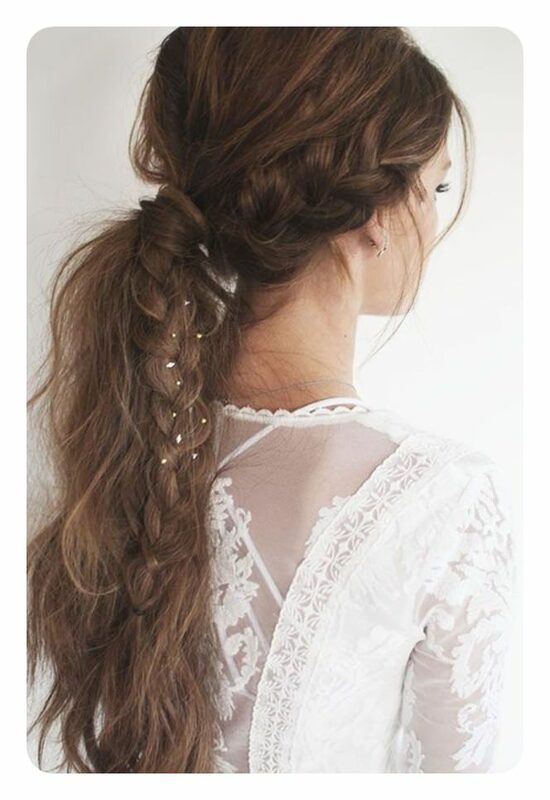 All you need is a few braids to compliment this stunning style. 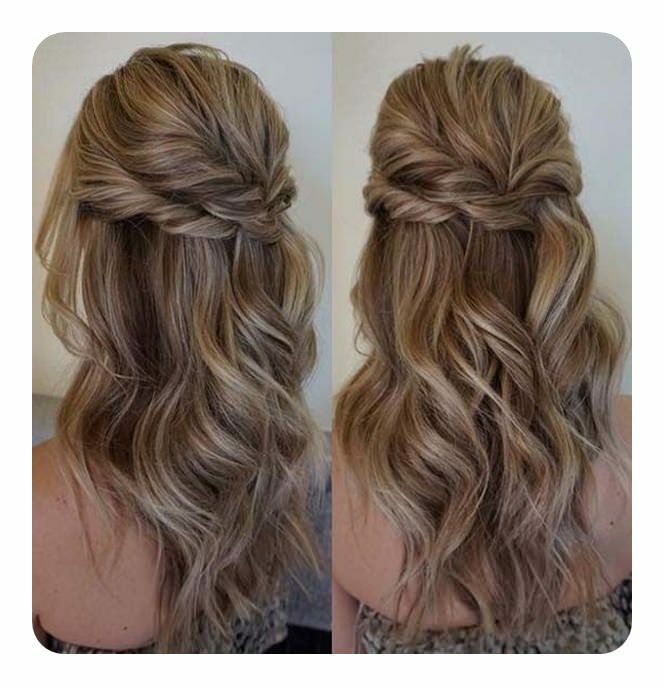 If you want to keep your look loose for the day, then try out this awesome style. When most people think about the Boho style, this is generally what goes through there heads. We have a crowning braid, some loose waves and even braids throughout. 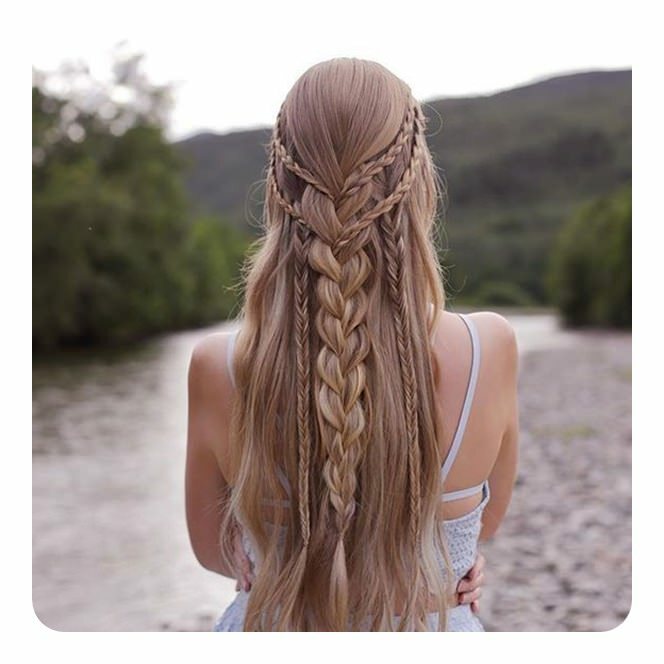 Aren’t these loose braids so beautiful? We love these styles. 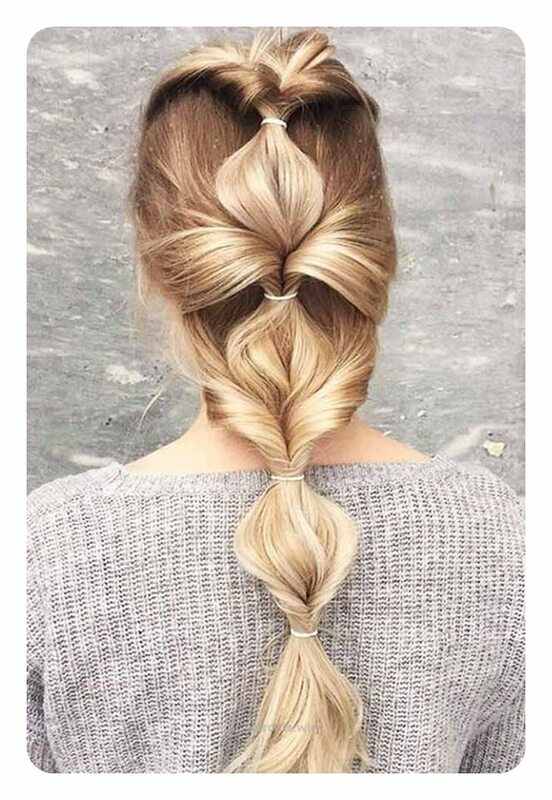 We love how this braided ponytail is pulled from one side to the other. It creates a new look that is sure to be the talk of any event that you go to. If you are looking for a simple style for a casual day, then you can’t go wrong with this one. 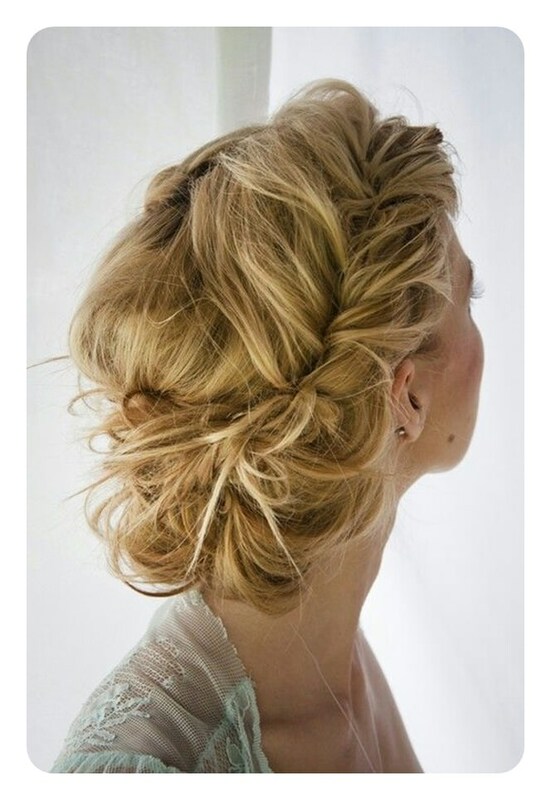 This partial updo is a great style that is very simple and yet it is so pretty as well. If you are looking for a style that you can wear to an event, then this is the one for you. 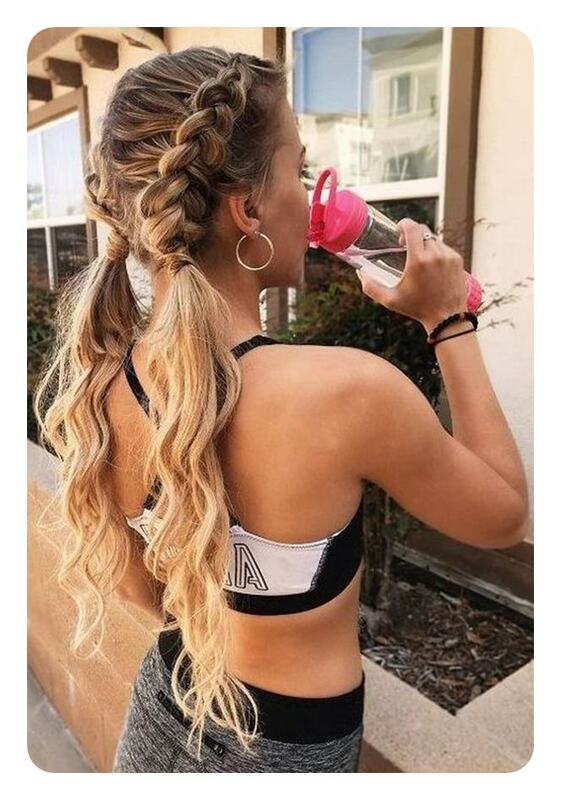 It will require a lot of hair to create this thick ponytail so if you don’t have it then invest in some hair extensions. 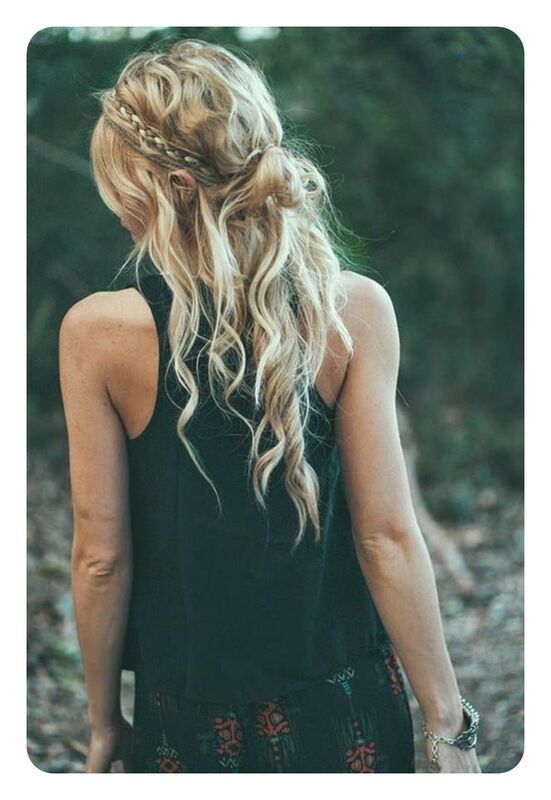 A boho ponytail is a messy style that has a crowning braid. 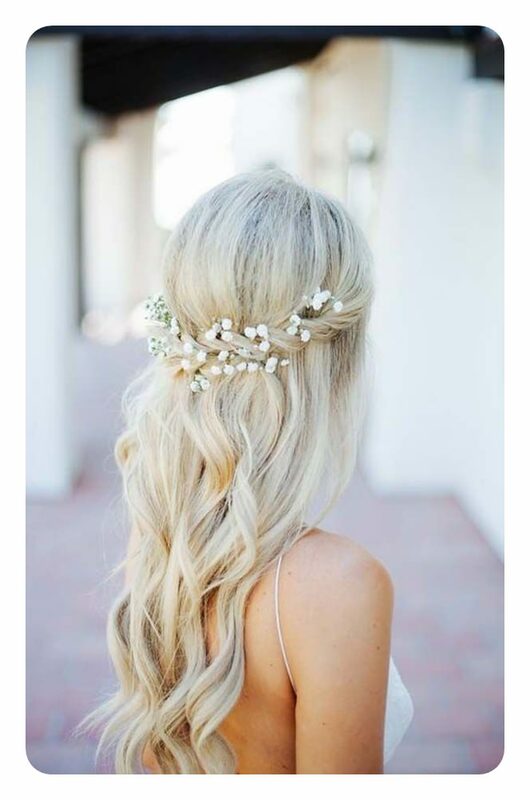 This style can be worn casually or for an event. 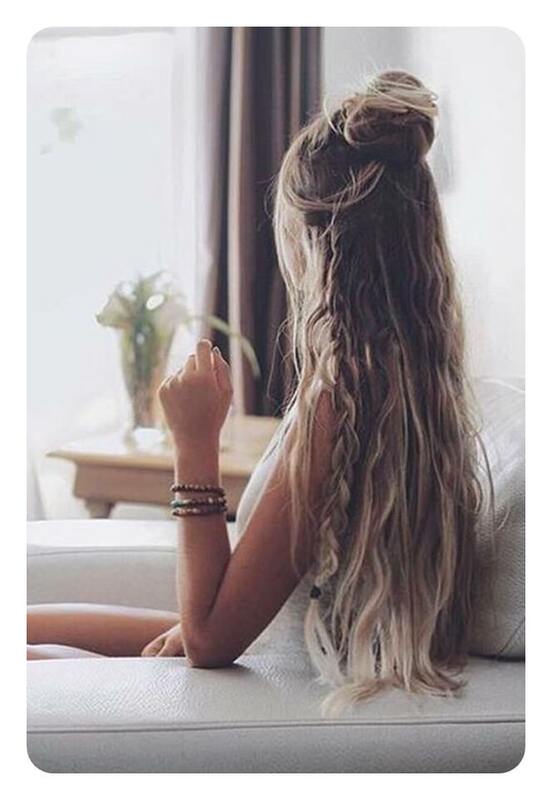 We love these messy styles, there is a lot of creativity to this style that is going to blow everyone away. A stunning style that Blake Lively has been rocking for years. She knows a gorgeous style when she sees it. Lively is always someone who knows great style so it wouldn’t hurt to follow her trends. 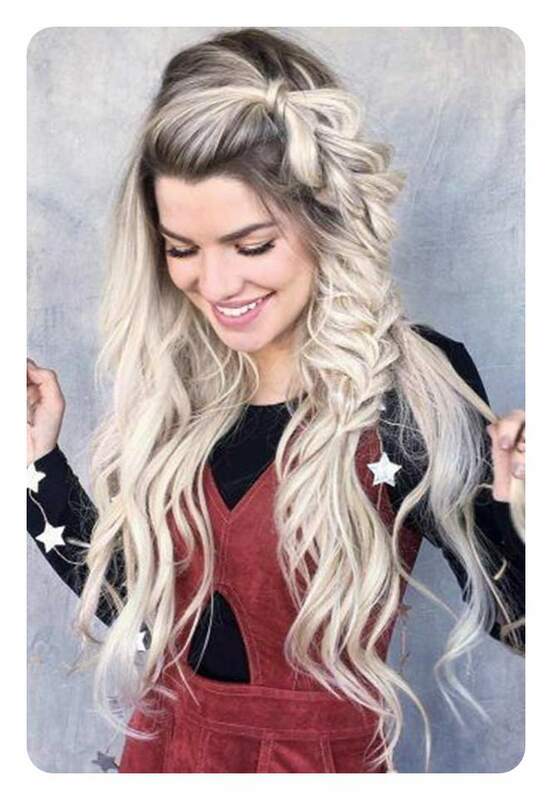 A great style that you are sure to love because it’s unique. You won’t find too many ponytails that are cooler than this one. Try it out and see if it will suit the look you are going for this season. Another great braided ponytail that is sure to steal the show. 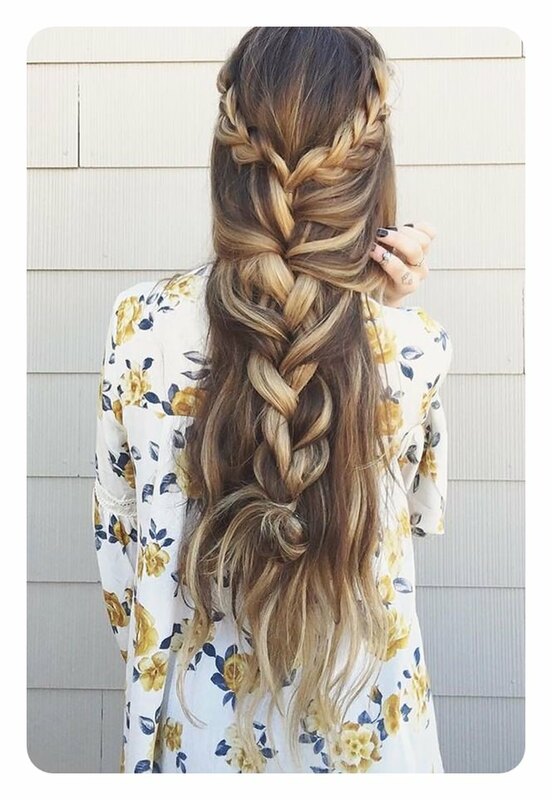 This messy style has a pretty remarkable braided crown that turns into a much larger braid. These styles are very cool and would be great for an event. You can take a simple style and make it extraordinary with the right accessories. Nothing beats pigtails for a day at the beach or one that includes running errands. These inside out braids are gorgeous and they aren’t just an everyday style. Another great crowning style but this time they used twisty braids. A great style that is messy and elegant all at the same time. This style is very popular right now and it also offers you a very different look from the rest. 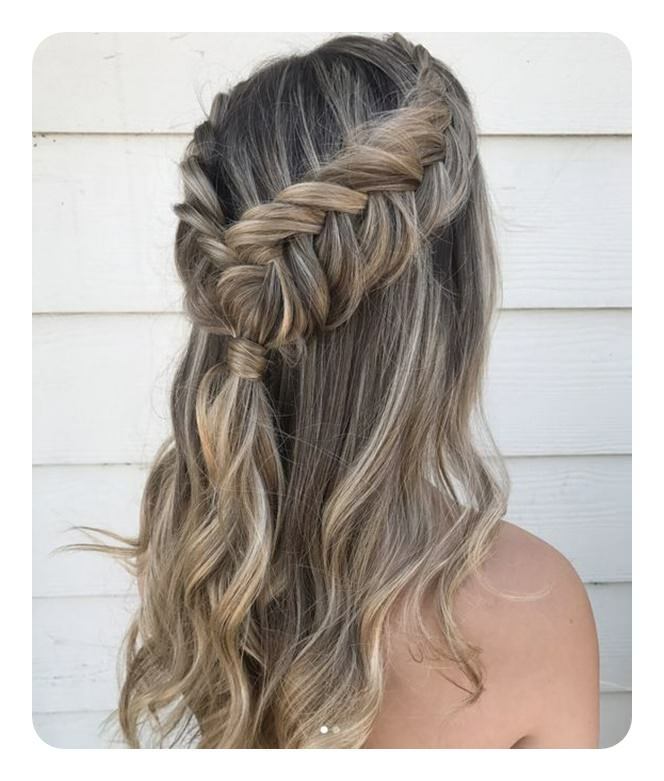 Another great partial style that is truly unique. 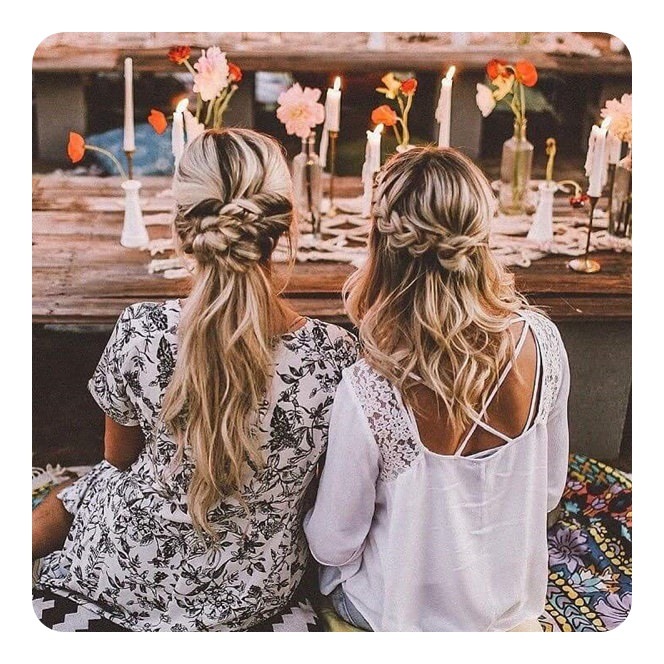 We love this style because the braids are thick and they create a magical style. This boho style is pretty and romantic. 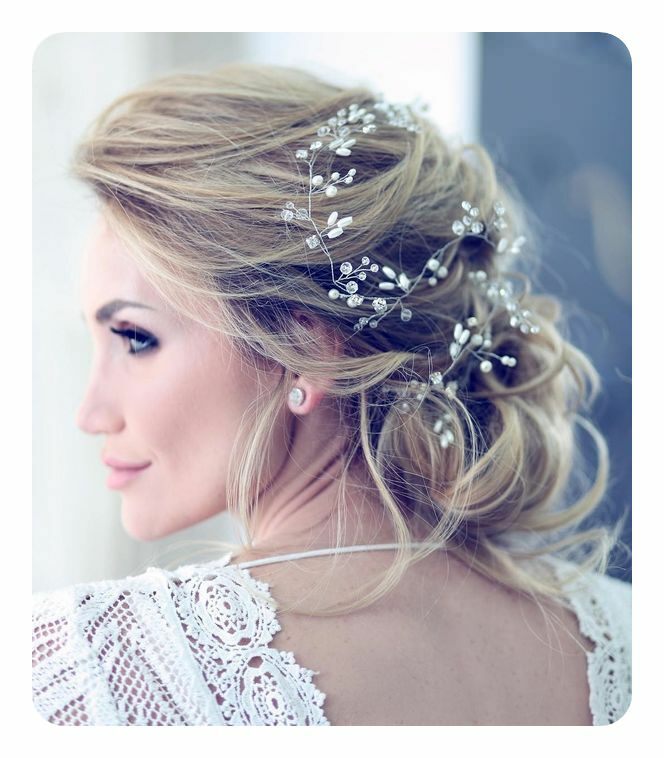 If you want a precious look for your big day, then this is it. 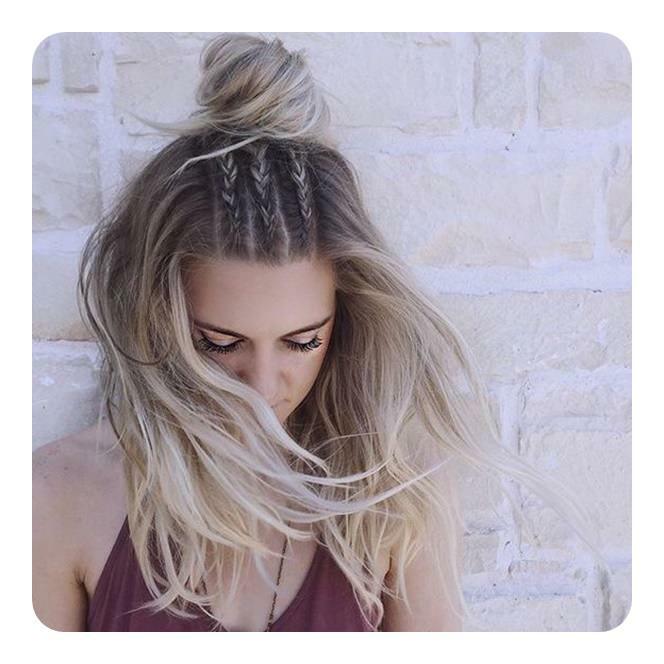 This style has braids of all shapes and sizes to create a gorgeous new look. This is a simple style that you can wear anywhere. With a look like this one, you are sure to blow everyone away at your next party. 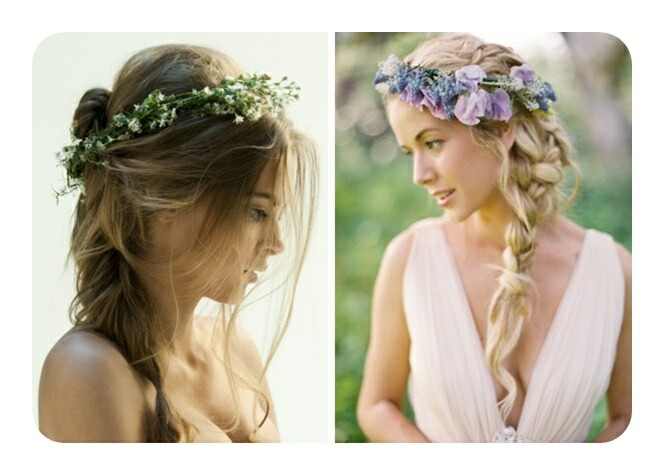 Bohemian updos are perfect for a garden party or a summer wedding. 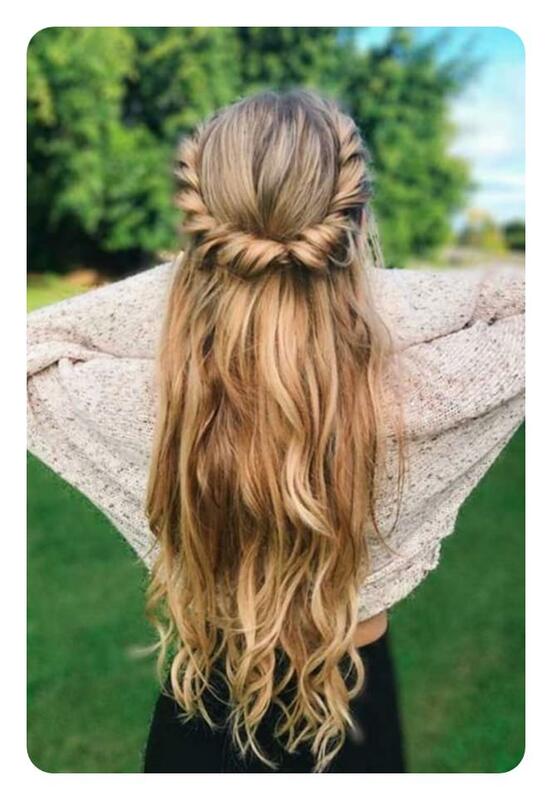 You definitely need a lot of hair to create styles like these ones. 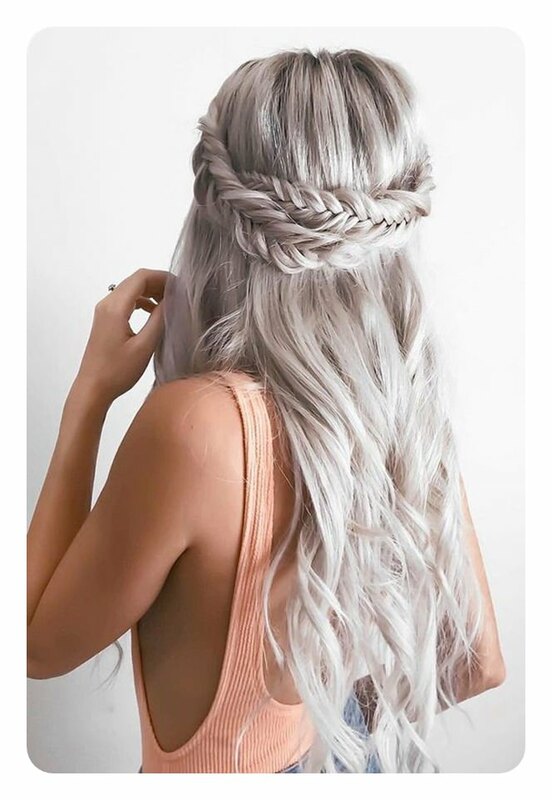 We love this unique braid on the side of the head. 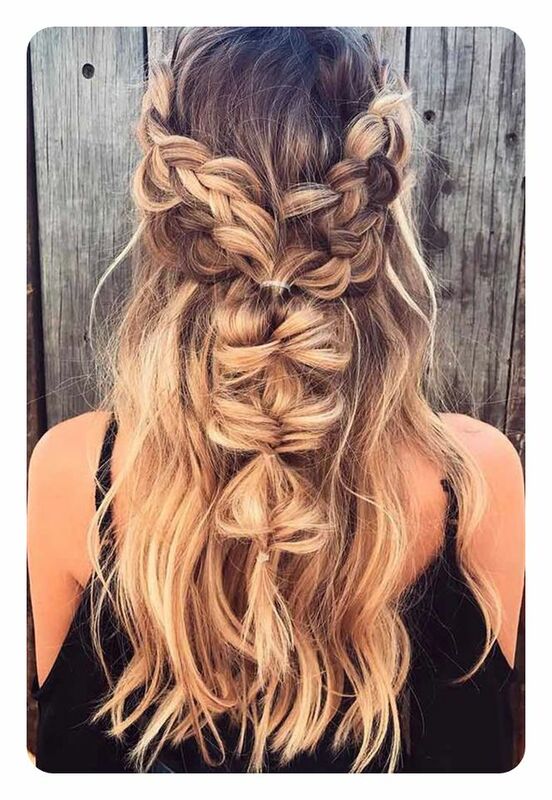 A braid like this is sure to draw the eye. It’s a simple style to create and yet it’s so beautiful. 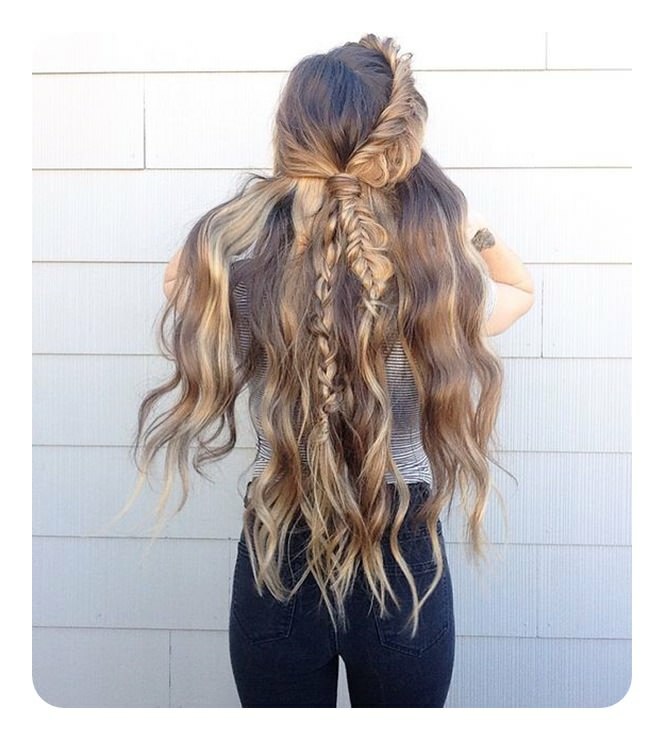 Another great example of a messy styles that has a few lovely braids. 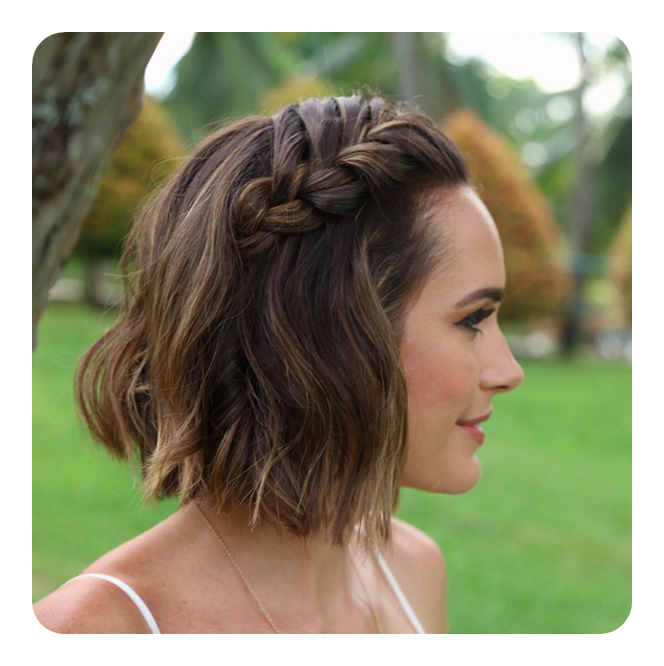 This is proof that even a simple braid can become magical and glamorous. Another pretty look that is as simple as it gets to create. 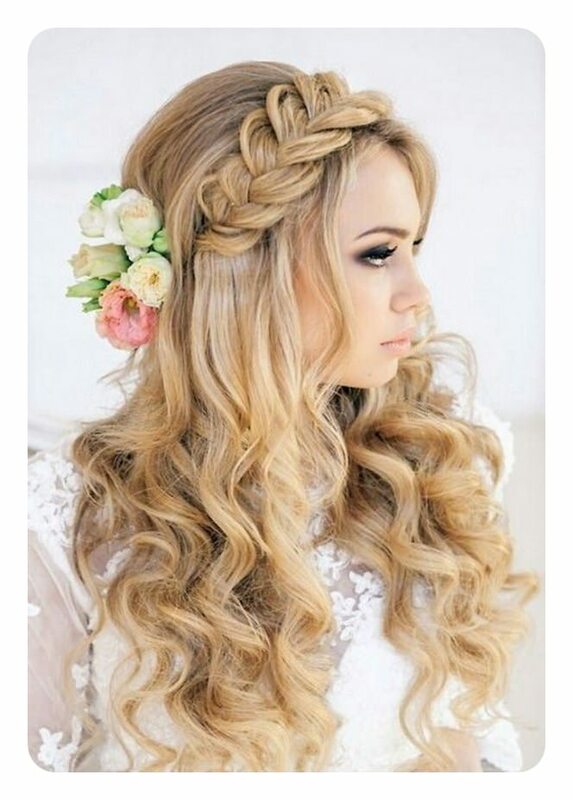 You might feel like you are back in the 60’s and 70’s with this romantic hairstyle. We love the braided accessories that works as a headband. A great style that is super awesome. 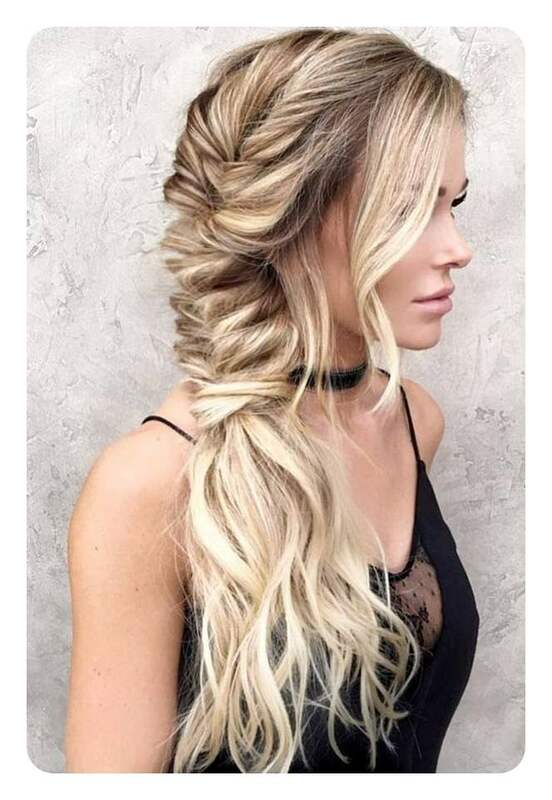 Fishtail braids are very popular for styles like these. You are going to love rocking these out this summer. A great look with great accessories for your next event. A great style that is sure to please you wherever you go. 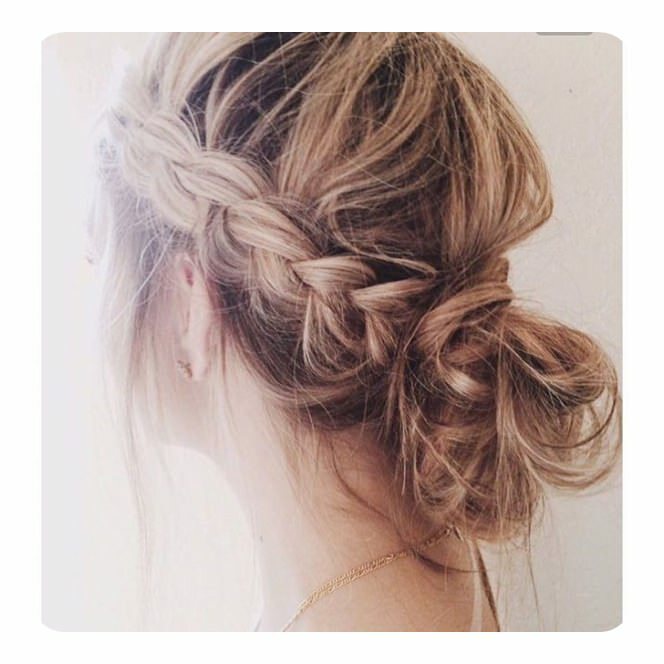 Just because a bun is messy doesn’t mean it won’t look amazing at a formal event. 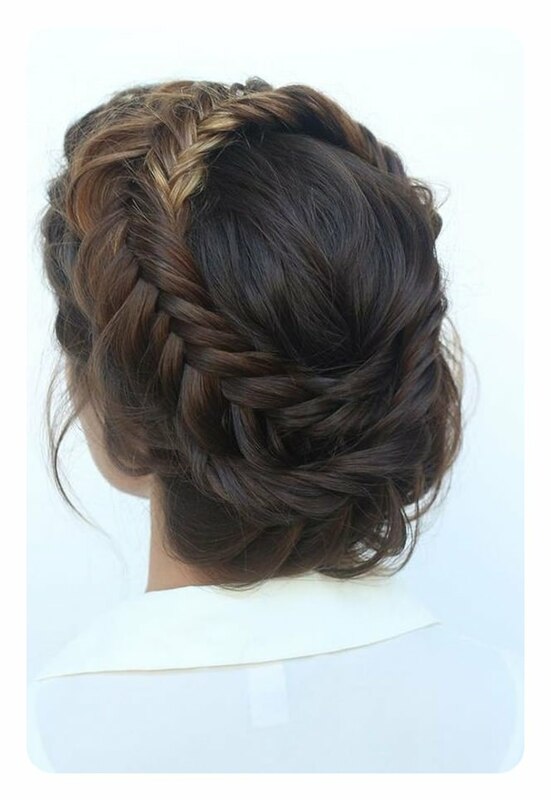 Another great example of a short style with a pretty impressive braid. 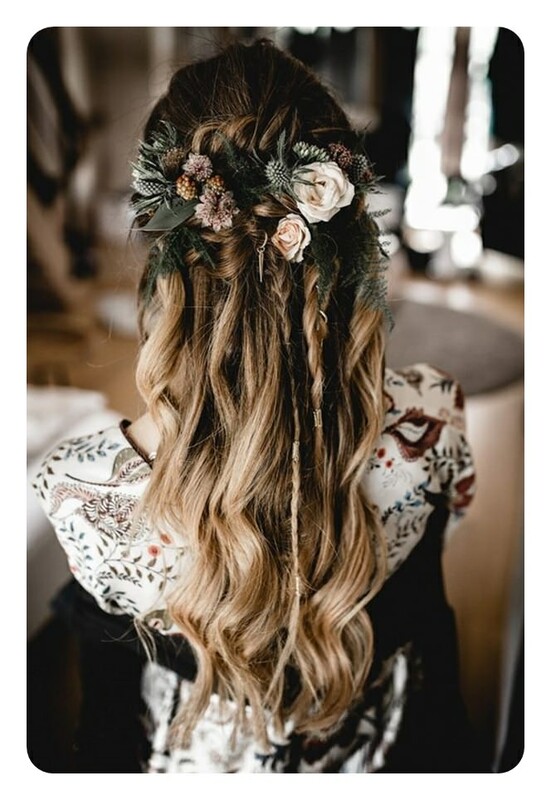 If you are looking for a show-stopping style for your next event, then you must try out this romantic and magical style. A great style that is simple and sweet. If you like to keep things natural, then this is a great style for you. 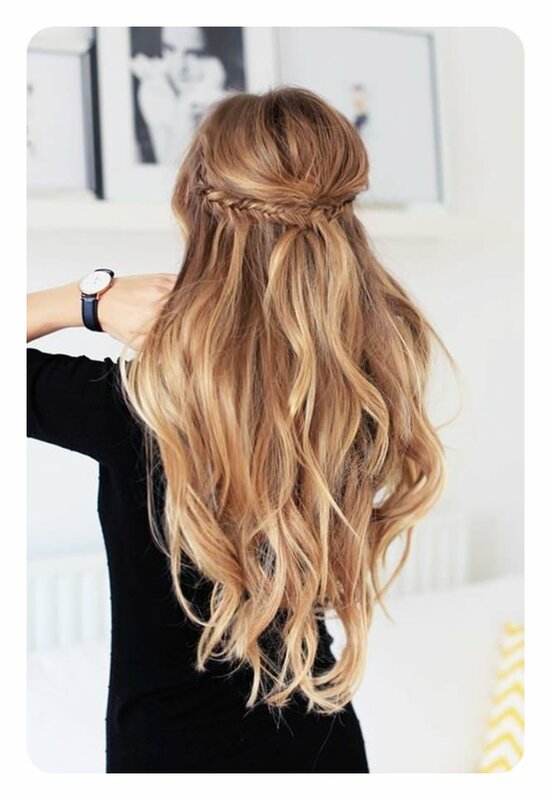 This style is so amazing because of the length. 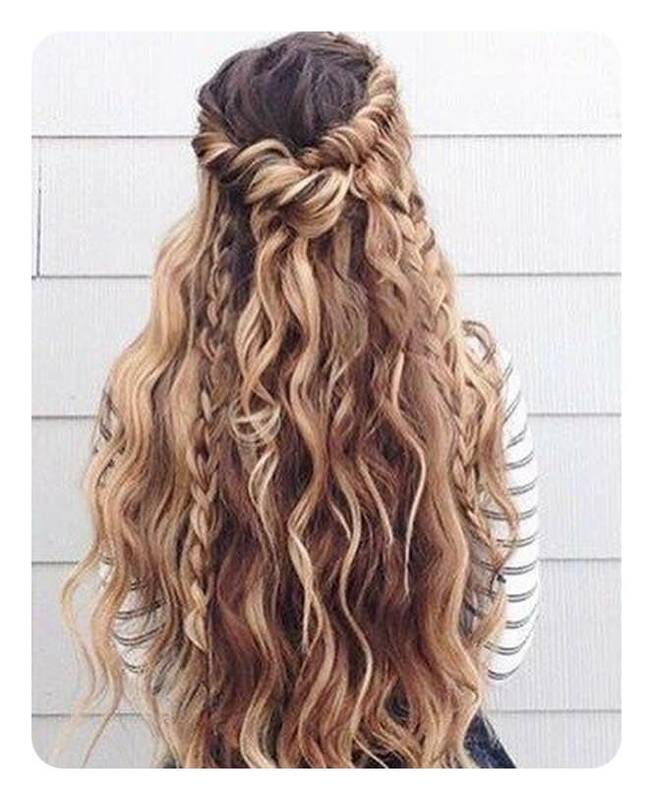 You need a lot of hair to achieve such a stunning style. We love the loose aspects that create a very romantic vibe. Part of what makes this style so incredible is certainly the style. But we can’t discredit the icy cool coloring wither. It’s surely what is making this style pop. A great style that is simple and stunning all in one. 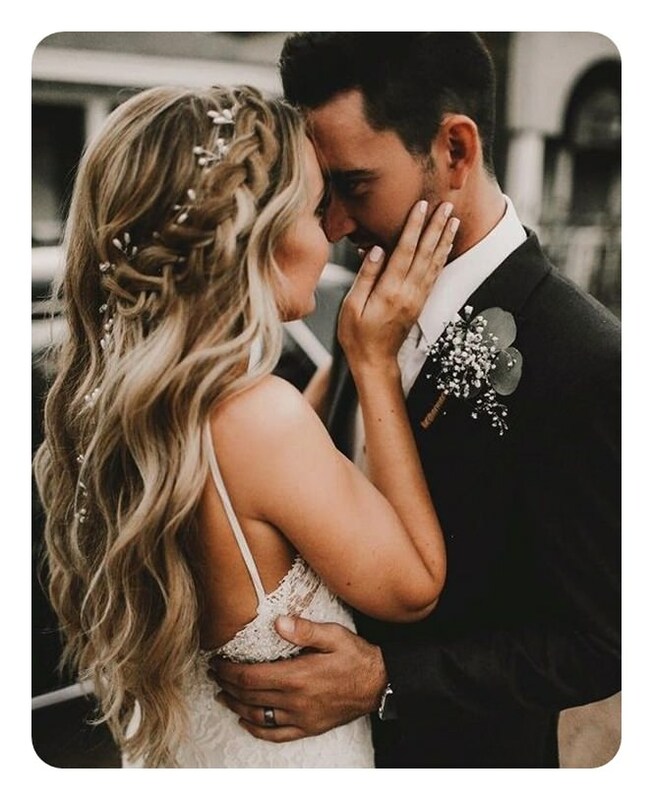 If you are looking for matching styles for your bridal party or even just a girls night out, then you can’t go wrong with these stunning styles. Your girls are sure to look just as beautiful as you want them to on your big day. If you are looking for a great new look that you can wear to the beach or a BBQ this summer than look no further than this style. 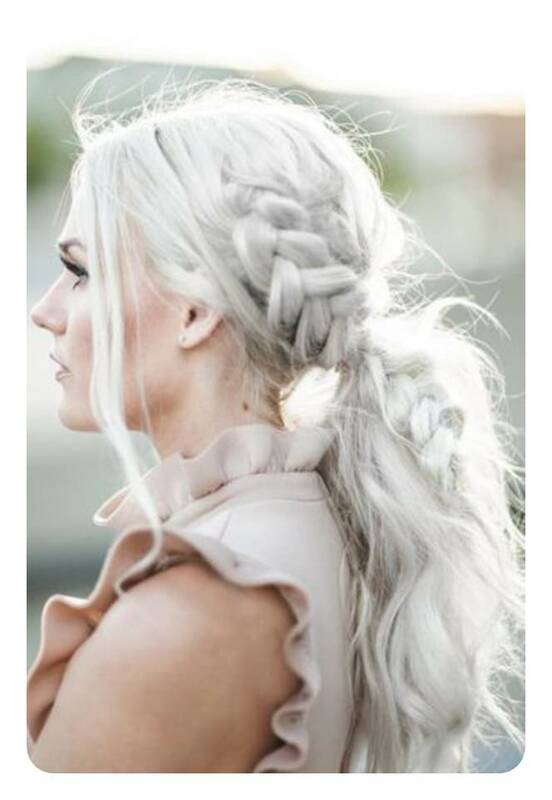 A great braid that is thick around the crown creating a very different look for you this season. Looks like these are very popular when it comes to formals or weddings. They give off that romantic vibe that will make you feel magical all day long. Styles like these are breathtaking because of their originality. There is no doubt that you will turn heads wherever you go in this style. 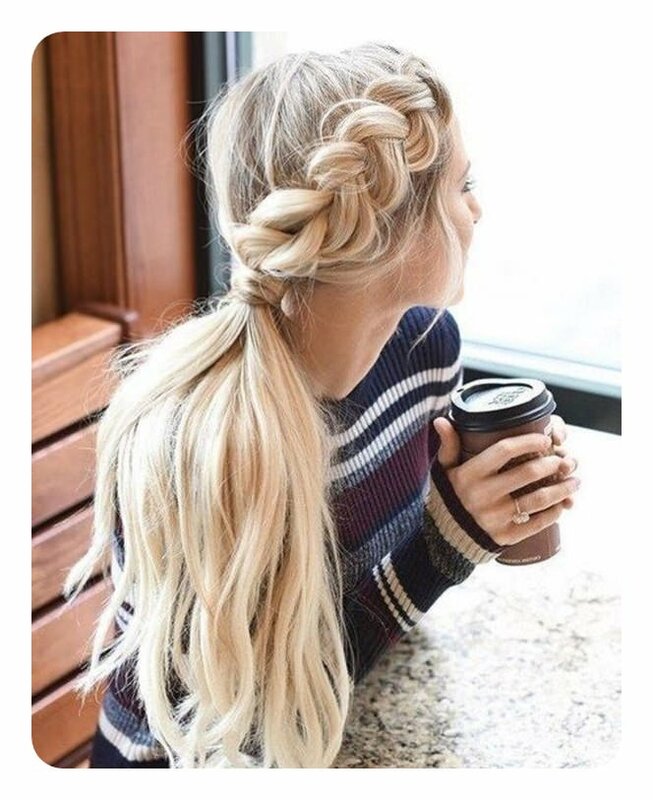 Twisty braids are always great looks when you want a messy style. 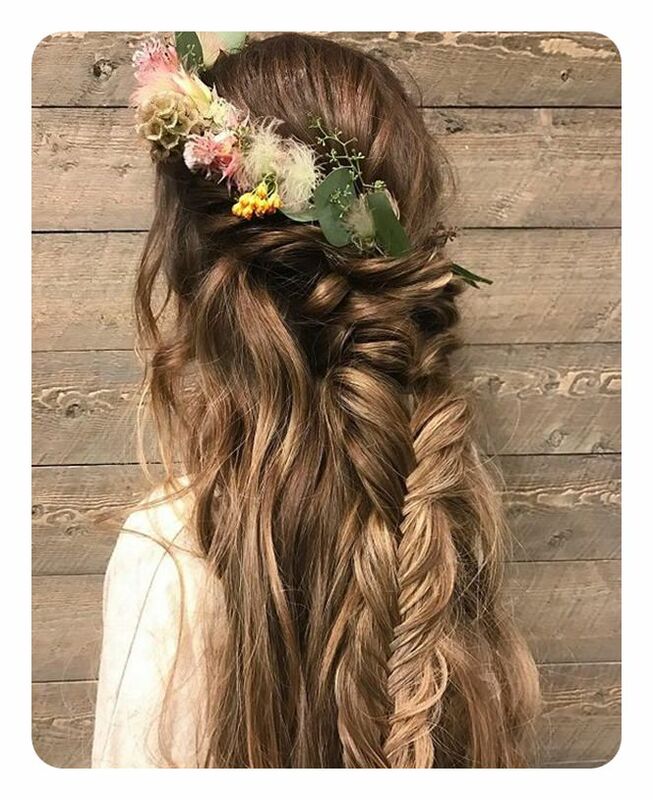 These types of styles take no time at all to create. 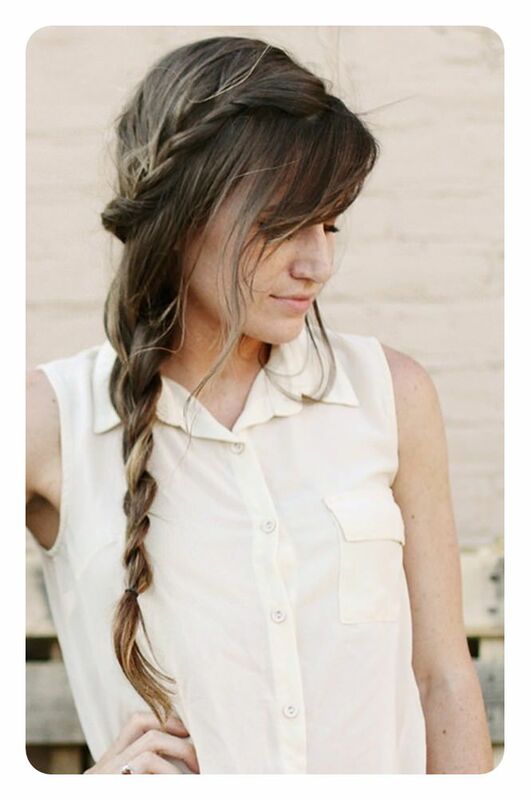 Another simple style that incorporates fishtail braids into your look. They are loose and wonderful, the perfect look for a simple day. If you are looking for a great updo for your next formal then you can’t go wrong with a style like this one. 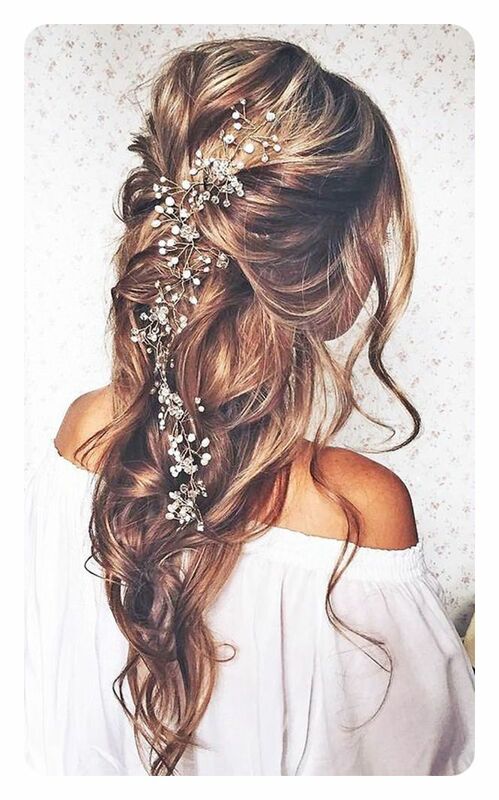 It’s loose with some waves and the accessories are to die for. 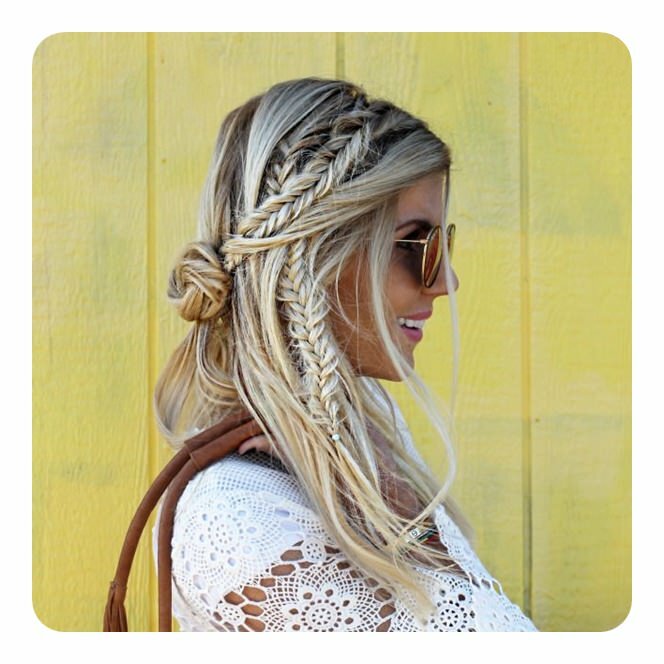 One braid is all you need for an amazing style like this one. It’s so simple and yet you will probably receive compliments all night long. We also appreciate the gorgeous color change at the bottom. Sometimes a change in color is all you need for a fresh new look. Two very different styles but ones that are also similar. One is looser while the other has braids. These styles are elegant and romantic, great choices for your next big event. Sometimes leaving your hair loose with a little wave is all you need for a boho style. Loose and casual styles are all the natural you need for your look.